ACT NOW! Trail Period Ends THIS SATURDAY, June 30! TRIAL PERIOD ENDS THIS SATURDAY , June 30! Time is running out to take advantage of our STLCDS trial period! See how your listings are displayed and experiment with the easy-to-use platform. No commitment required. Subscribe for a full year of service before this Saturday, June 30 and receive two complimentary months! ﻿Click here for subscriber forms. DON'T DELAY! You will lose access to the system after June 30 if you do not submit a subscriber form. stlcds.com has everything you need - Easy subscription access, full pricing details, rules and regulations, access to Catylist's System login and more! Did you get this week's Hotsheet? 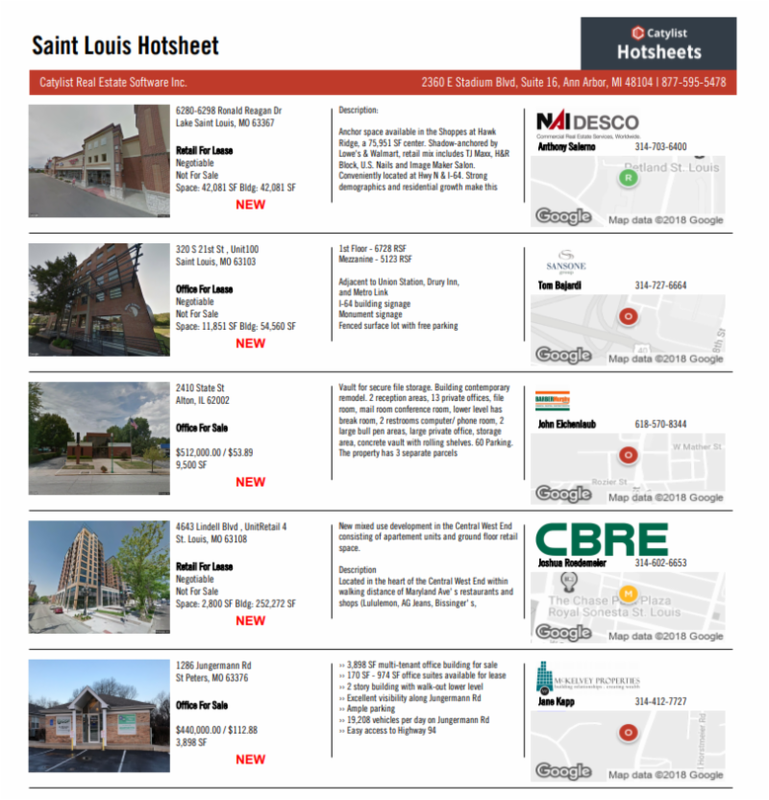 To showcase your recent transaction or listing in a future Saint Louis Hotsheet, send details to stl@catylist.com. B e sure to request inclusion! Click here to view a recent hotsheet sample. How has your experience using STLCDS been so far? Questions? Email membership at membership@stlcds.com or call 314-576-0033. For pricing and other important information visit stlcds.com.